New. Intimate 2 unit building, each space has in unit washer dryer, full kitchen, and garage parking. Great block, just half block from shopping at Pete's or workout at Planet Fitness. Newly gutted. 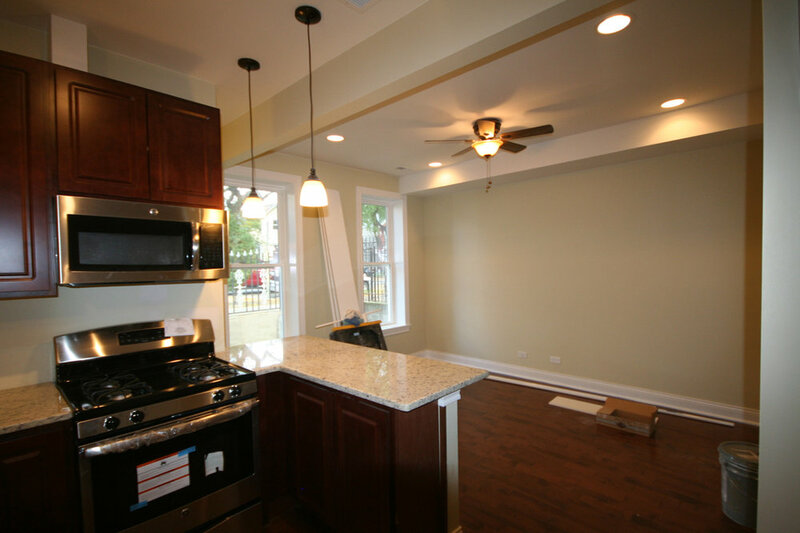 Building has reconfigured floor plans with larger bedrooms, top end finishes, with granite, and stainless steel in kitchen. Each unit has its own laundry, and kitchens have fridge, stove/oven, microwave, and dishwasher. High efficiency furnace with central AC. Spaces are wired for cable. Nice backyard space, and front patio for unit 1.